But the blame for Iraq does not end with Cheney, Bush, or Rumsfeld. Nor is it limited to the intelligence operatives who sat silent as the administration cherry-picked its case for war, or with those, like Colin Powell or Hans Blix, who, in the name of loyalty or statesmanship, did not give full throat to their misgivings. It is also shared by far too many in the Fourth Estate, most notably the New York Times‘ Judith Miller. But let us not forget that it lies, inescapably, with we the American people, who, in our fear and rage over the catastrophic events of September 11, 2001, allowed ourselves to be suckered into the most audacious bait and switch of all time. 4/15/93 Saddam Hussein reportedly tries to assassinate Bush Sr.
8/7/98 Al Qaeda bombs US embassies in Africa, killing 220 and injuring some 4,000. 10/31/98 Clinton signs the Iraq Liberation Act. Regime change becomes official US policy. 10/12/00 Al Qaeda attacks USS Cole in Aden, Yemen, killing 17 and injuring 39. 11/6/00 Congress doubles funding for Iraqi opposition groups to more than $25 million; $18 million is earmarked for Chalabi’s Iraqi National Congress, which then pays defectors for anti-Iraq tales. 11/7/00 Election night: Indecision 2000 begins. Nov 2000 Future Chief Justice John Roberts flies to Florida to advise Jeb Bush during recount. 12/12/00 Supreme Court hands presidency to George W. Bush. 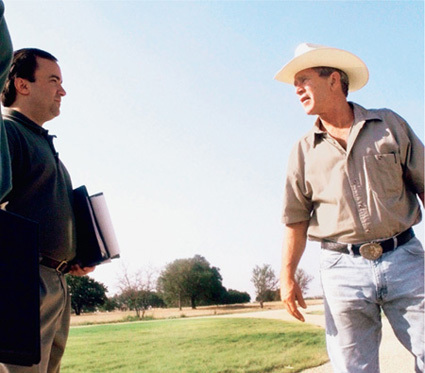 Early 2001 Enron CEO Ken Lay named to Bush Energy Department transition team. Jack Abramoff appointed to Interior Department transition team. 2/16/01 Bush: “To send a clear signal to Saddam,” US and UK bomb targets near Baghdad. 8/10/01 Major air raid on Iraq. 9/18/01 In a move a federal judge will later call “conscience-shocking,” EPA chief Christine Todd Whitman says area around Ground Zero is safe and encourages residents to return. 10/8/01 Office of Homeland Security established. 10/25/01 Uniting and Strengthening America by Providing Appropriate Tools Required to Intercept and Obstruct Terrorism (USA PATRIOT) Act passes 98-1 in the Senate. 11/11/01 Ibn al-Shaykh al-Libi, top Al Qaeda paramilitary trainer, captured in Pakistan. 11/24/01 “American Taliban” John Walker Lindh captured. Late Nov 2001 Osama bin Laden, pinned down at Tora Bora, slips away. 12/9/01 Cheney on Meet the Press: “Well, the evidence is pretty conclusive that the Iraqis have indeed harbored terrorists.” Also claims 9/11 hijacker Mohammed Atta met with Iraqi spy in Prague, a claim he’ll repeat long after CIA and Czechs disavow. 12/22/01 Shoe bomber Richard Reid tries to blow up an AA flight from Paris to Miami. 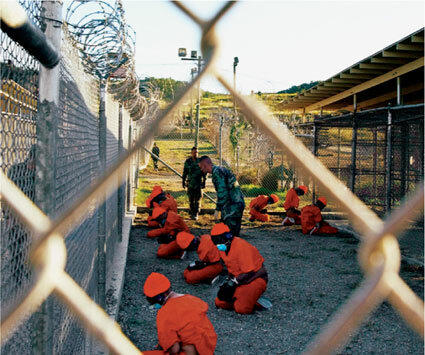 First 20 detainees arrive at Guantanamo. 1/23/02 Pakistani militants kidnap Wall Street Journal reporter Daniel Pearl. 2/7/02 Presidential directive defines Taliban and Al Qaeda detainees as “enemy combatants” exempt from prisoner-of-war protections. 2/12/02 With “profound sadness,” Ken Lay refuses to testify before Congress. 2/13/02 Total Information Awareness program leaked. 3/12/02 Color-coded terror alert system introduced. 4/8/02 Bush promotes “Operation TIPS” program to turn postal workers, bus drivers, meter readers, and even lobstermen into freelance government spies. 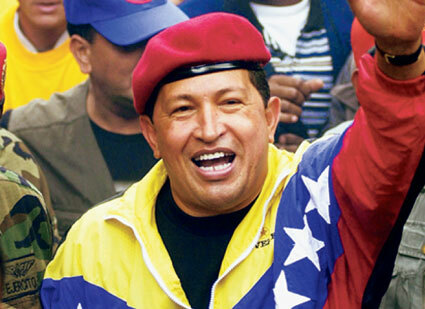 Hugo Chávez briefly removed from power in Venezuela in a US-endorsed coup. 5/18/02 The 2001 “Bin Laden Determined to Strike in US” warning leaked to press. 5/23/02 Bush states opposition to 9/11 hearings. Senate subcommittee votes to subpoena administration about Enron. 5/24/02 FBI warns of Memorial Day attacks by scuba divers. June 2002 Iraq bombing begins. Military will fly 21,736 sorties and attack 349 targets between now and the start of the war. 6/6/02 Coleen Rowley, the FBI agent who tried to alert her superiors to flight training taken by Zacarias Moussaoui, testifies before Congress. 6/10/02 In midst of 9/11 hearings, Ashcroft interrupts trip to Russia to announce arrest of Padilla, who’s now accused of “dirty bomb” plot. Declared an enemy combatant, he’ll be held four years without access to court system. 7/15/02 Despite indications he was tortured into confession, Lindh cops to 20 years. 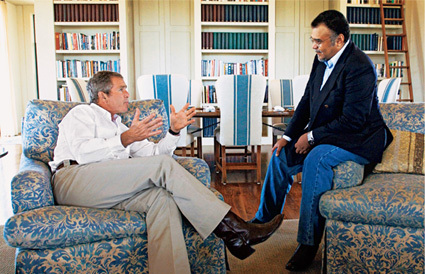 8/7/02 Bush given Iraq war plan by Gen. Franks. 8/20/02 “We may or may not attack. I have no idea yet.”—Bush. “There are Al Qaeda in Iraq…There are.”—Rumsfeld. 8/26/02 Newsweek reports prisoners abused by US allies in Afghanistan. Sep 2002 Bombing against Iraq intensifies. 9/3/02 Bush asks skeptical congressional leadership to support action against Iraq. 9/5/02 Upon hearing from Tenet that no National Intelligence Estimate had been produced to assess justification for war, Sen. Graham demands one. 9/7/02 Bush claims a new UN International Atomic Energy Agency (IAEA) report states Iraq is six months from developing a nuclear weapon. There is no such report. 9/11/02 Bush marks 9/11 with Statue of Liberty backdrop. 9/12/02 Bush repeats aluminum-tube claim before UN General Assembly. 9/13/02 Cheney tells Rush Limbaugh: “What’s happening, of course, is we’re getting additional information that, in fact, Hussein is reconstituting his biological, chemical, and nuclear weapons programs.” There is no such new intel. 9/16/02 White House economic adviser Lawrence Lindsey estimates Iraq war could cost $200 billion. Oct 2-24, 2002 DC-area sniper attacks. 10/4/02 Asked by Sen. Graham to make gist of NIE public, Tenet produces 25-page document titled “Iraq’s Weapons of Mass Destruction Programs.” It says Saddam has them and omits dissenting views contained in the classified NIE. 10/7/02 Bush delivers a speech in which he says, “Facing clear evidence of peril, we cannot wait for the final proof—the smoking gun—that could come in the form of a mushroom cloud.” Also says Iraq is exploring ways of using drones to target the US, although Iraq’s drones have a reach of only 300 miles. 10/11/02 Congress—including all serious Democratic contenders—votes to grant Bush power to go to war. 10/21/02 In Lackawanna, New York, six American citizens of Yemeni descent are hyped as a “sleeper cell” and indicted on terror charges despite scant evidence. 11/5/02 GOP gains control of Senate. 11/8/02 UN Security Council passes Resolution 1441 offering Iraq “a final opportunity to comply with its disarmament obligations.” Iraq agrees and UN weapons inspectors return. 11/25/02 Bush elevates Homeland Security Department to Cabinet. 11/27/02 Weapons inspections begin in Iraq. 12/6/02 White House sacks Lindsey over war cost estimates. 12/7/02 Iraq submits a 12,200-page declaration to the UN documenting all its unconventional arms. US discredits the report because it does not mention the tubes or the Niger uranium. 12/31/02 New war cost estimate generated: $50-$60 billion. 1/9/03 After nearly two months, UN’s Hans Blix says his inspectors have not found any “smoking guns” in Iraq. 1/20/03 Bush signs presidential directive giving Pentagon control over postwar Iraq. 2/7/03 As anti-war demonstrations increase, DHS Secretary Ridge warns of Al Qaeda “credible threats” and raises the terror alert level to orange. 2/8/03 In radio address to the nation, Bush warns that “firsthand witnesses [read: Curveball] have informed us that Iraq has at least seven mobile factories” for germ warfare. 2/10/03 DHS advises Americans to stock up on plastic sheeting and duct tape to protect themselves against radiological or biological attack. 2/14/03 Blix again tells UN Security Council that Iraq appears to be cooperating with inspectors. 2/15/03 Largest demonstrations in history. In 600 cities worldwide, millions protest war. 2/25/03 Gen. Eric Shinseki tells Congress “several hundred thousand troops” will be needed to occupy Iraq. Rumsfeld retaliates, naming Shinseki’s successor 14 months before the end of his term. 3/1/03 Iraq destroys four missiles, meeting a UN deadline to begin disarming. 3/7/03 US, Britain, and Spain present a revised draft resolution giving Saddam an ultimatum to disarm by March 17 or face the possibility of war. France refuses to sign on to ultimatum. 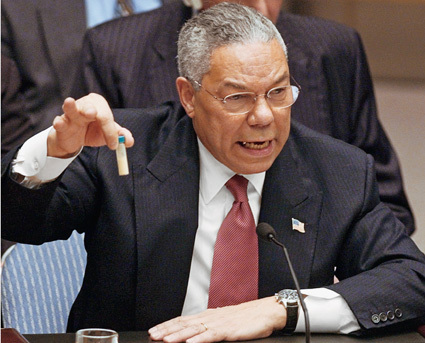 3/7/03 Blix tells UN Security Council that there’s “no evidence” of mobile bioweapons facilities in Iraq. 3/15/03 Bush, Tony Blair, and Spain’s president have “emergency summit.” Bush gives UN one day to find a diplomatic solution. 3/17/03 Threat level elevated to orange. 3/17/03 US and UK fail to secure UN resolution authorizing use of force. Bush gives Saddam 48 hours to surrender. 3/18/03 Washington Post article headlined “Bush Clings to Dubious Allegations About Iraq” notes, “As the Bush administration prepares to attack Iraq this week, it is doing so on the basis of a number of allegations against Iraqi President Saddam Hussein that have been challenged—and in some cases disproved—by the United Nations, European governments and even U.S. intelligence reports.” Story is buried on Page A13.